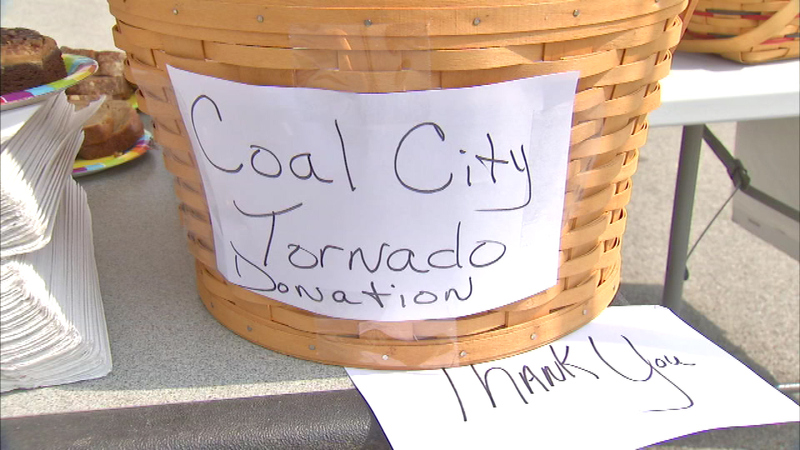 MORRIS, Ill. (WLS) -- Some pint sized entrepreneurs raised money today to help Illinois tornado victims. Nolan Berger, 11, and his 7-year old brother Gavin set up a lemonade stand in Morris. The brothers lost their home in Coal City to June's tornado. Some of their friends on their baseball team also lost their homes. The brothers say they wanted to help out. The boys sold five containers of lemonade and all the cookies they had, raising about $500 Friday.